Prime Minister Narendra Modi during his address at DefExpo 2018. THIRUVIDANTHAI, TN (PTI): The Government's commitment to peace is just as strong as its commitment to protecting its people and territory, and for this, necessary measures to equip the Armed Forces will be taken, Prime Minister Narendra Modi said on Thursday. Inaugurating the Defence Expo 2018 in Thiruvidanthai, Tamil Nadu, Modi said the Defence Procurement Procedure (DPP) was revised with many specific provisions for stimulating growth of the domestic defence industry. "Our commitment to peace is just as strong as our commitment to protecting our people and our territory. For this we are ready to take all necessary measures to equip our armed forces, including through the establishment of a strategically independent defence industrial complex," he said. The Prime Minister also said that while in May 2014, the total number of defence export permission granted stood at 118, for a total value of US$ 577 million, in less than four years, 794 more export permissions were issued, for a total value of over US$ 1.3 billion. "There was a time when critical issue of defence preparedness was hampered by policy paralysis. We have seen the damage of such laziness, incompetence or perhaps some hidden motives, can cause to the nation. Not now, not anymore, never again," Modi said. In an apparent reference to the scrapped Medium Multi-Role Combat Aircraft (MMRCA) deal, the Prime Minister said he did not want to spend 10 years in discussions without any tangible outcome. Major stakeholders, including foreign and domestic firms, will be consulted on the defence production and procurement policy, the Prime Minister said, asserting that the Government was attempting to give a major push to military manufacturing in India. Modi, in the presence of top executives of global defence majors, said the Government was conscious that creating a defence industrial complex is far from simple but it was sincerely working to achieve it. "We are committed to building a defence industrial complex that has room for everyone -- public sector, private sector, as well as foreign firms," he said. The Government has been projecting the 10th edition of the biennial event here as the first major attempt to transform India into a hub of military manufacturing. "We know that a lot needs to be done, and many pieces of this puzzle need to fit together," the Prime Minister said. 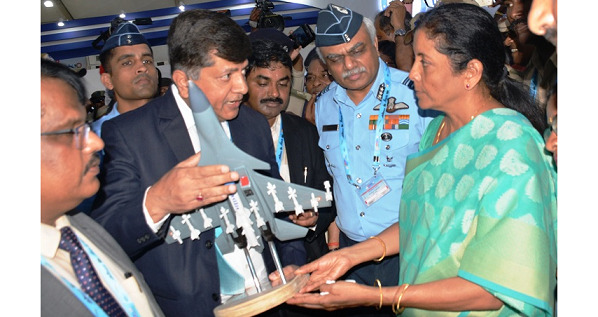 The Defence Ministry last month had come out with a draft policy which envisages achieving a turnover of Rs 1,70,000 crore in military goods and services by 2025 by promoting the domestic defence industry. The policy is likely to be finalised in the next two months. "In the weeks ahead, we will undertake extensive consultations with all stakeholders, including both Indian and foreign companies, about our defence production and defence procurement policy space. I call upon all of you to actively participate in this exercise," he said. India is expected to spend close to US$ 300 billion in the next five years in procuring defence equipment and almost all major global defence firms are eyeing a slice of it. "Our aim is not just to discuss, but to draw the right lessons. Our intention is not to lecture, but to listen. Our goal is not merely to tinker, but to transform," Modi said. The Prime Minister also launched an Innovation for Defence Excellence' scheme. Under the scheme, defence innovation hubs will be set up throughout the country to provide necessary incubation and infrastructure support to the start-ups in the defence area. Modi said the Government has made a humble beginning over the last few years to strengthen India's defence industry sector. "On defence manufacturing licenses, on defence offsets, on defence exports clearances, on Foreign Direct Investment in defence manufacturing, and on reforming our defence procurement, we have taken many steps," he said. In all these areas, Modi said, our regulations, processes and procedures have been made more industry-friendly, more transparent, more predictable and more outcome oriented. Listing the initiatives, he said the defence products list for the purpose of issuing licences has been revised, and most of the components, parts, sub-systems, testing equipment and production equipment have been removed from the list to reduce entry barriers for the industry. He said initial validity of industrial licence has been increased from three years to 15 years, with provision to further extend it by three years. 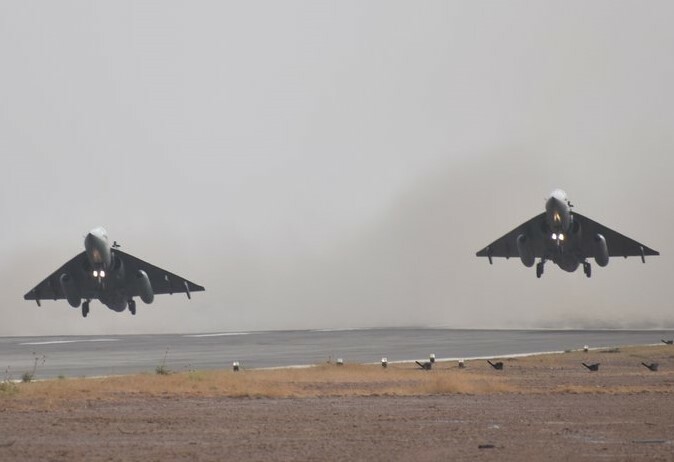 Offset guidelines have been made flexible by allowing changes of Indian Offset Partners and offset components, even in contracts already signed. "Foreign Original Equipment Manufacturers are now not required to indicate the details of Indian offset partners and products at the time of signing of contracts. We have also re-instated services as an avenue of discharging offsets," he said. Modi said the standard operating procedure for the issue of export authorisations has been simplified and put in the public domain. The requirement of government-signed end user certificate for export of parts and components and other non-sensitive military stores, sub-assemblies, and sub-systems has been done away with, he said. "We have taken a step forward and revised the Foreign Direct Investment cap of 26 per cent to 49 per cent through the automatic route, and even up to 100 per cent on a case-to-case basis," Modi said. He said the government has also de-notified some items earlier made exclusively by Ordnance Factories, so that the private sector, especially the micro, small and medium enterprises can enter this space. The Prime Minister also talked about the proposal to set up two defence industrial corridors -- one in Tamil Nadu, and another in Uttar Pradesh. These defence industrial corridors will utilise the existing defence manufacturing ecosystems in these regions, and further build upon it, he said. Modi said private venture capital into the defence sector, especially for start-ups will also be encouraged. New and emerging technologies like artificial intelligence and robotics are perhaps the most important determinants of defensive and offensive capabilities for any defence force in the future. India, with its leadership in information technology domain, would strive to use this technology tilt to its advantage, he said. 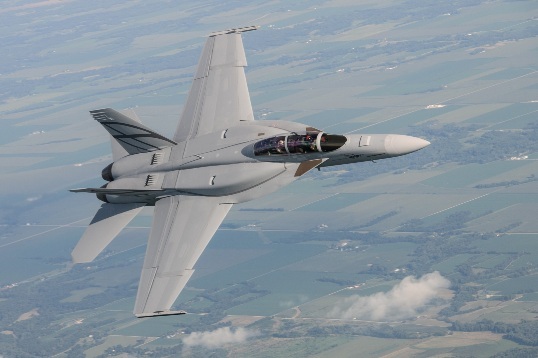 Eyeing the mega IAF contract for 110 fighter jets, Boeing has announced a partnership with PSU Hindustan Aeronautics Limited and Mahindra Defence Systems for manufacturing the F/A-18 Super Hornet in India.